I can't say I knew Harry well or even knew him at all. 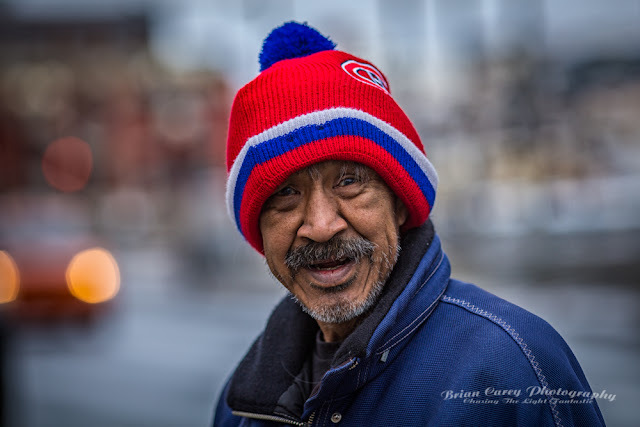 We only had one meeting back in January 2015 when I came across him downtown. 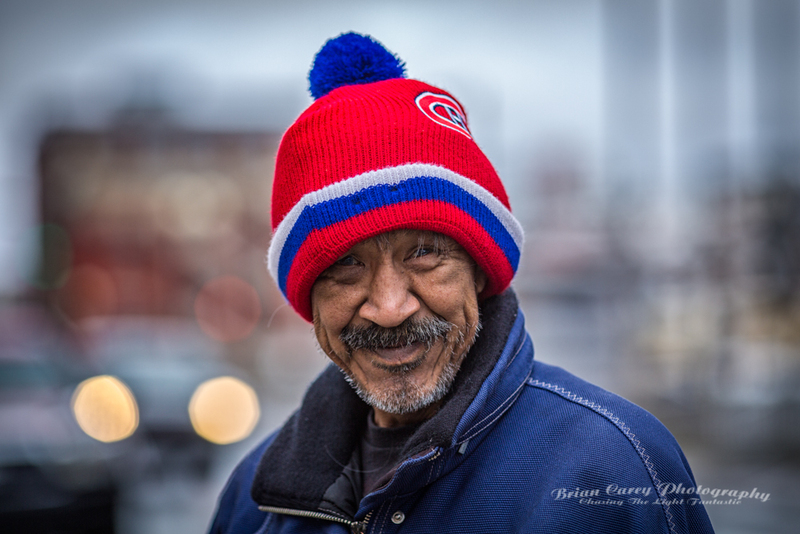 I had been out doing my street portraits and as he approached I knew I had to ask him if I could take his portrait; such character in that face and such an amazing smile. I took several portraits of him and our meeting lasted only a few minutes. I offered to give him a small print as I usually do but he declined. I think he refused because he thought he might be putting me out. Such a kind and gentle fellow he was! "I knew Harry as a patient for many years. Never was there a less demanding, more pleasant man. He was always working at something. His life with the Squires was so happy and he truly belonged. He never looked any different over the years so it’s a shock to learn he’s gone from us. I hope his last years were happy and knowing the Squires family, I suspect they were. RIP.....a true gent" - Dr Steve Walker . You can see more of my street portraits on my Chasing the Light Fantastic website.